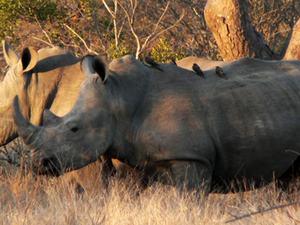 South Africa is a paradise for anyone interested in natural history. A wide range of species may be encountered in parks, farms, private reserves and even on the roads. 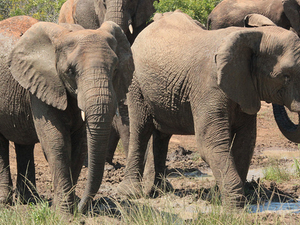 The Kruger National Park is exceptionally well managed and a favourite tourist destination. • Activities mentioned in the itinerary. Blyde River Canyon DamOur first day on tour takes us from Johannesburg via Middelburg, Dullstroom and Lydenburg to Pilgrim´s Rest, the early gold mining town turned into a living museum. Rich deposits of alluvial gold were found here at the end of the 19th century, hence the existence of the town deep in the mountains. Lion RestingWe visit Lone Creek Falls and travel via Graskop to marvel at scenic areas such God’s Window, Bourke's Luck Potholes, Blyde River Canyon, and some of the spectacular waterfalls in the area. Finally we descend to the Lowveld via Abel Erasmus pass and the Strijdom Tunnel to arrive at Mohlabetsi in the Balule private game reserve. This afternoon our encounter with Africa's wildlife begins as we travel on an open vehicle to search for the game. Enjoy a great dinner under the stars tonight (weather permitting). After an early morning safari and if conditions permit, searching for the wild on foot, and breakfast we enter the Kruger National Park and spend the rest of day in this magnificent reserve around 2 million ha in extent. We rise early for a game drive and breakfast on a deck overlooking the Sabie River. We spend the rest of the morning in the reserve and depart for the mountain Kingdom of Swaziland. We visit the Ngwenya Glass Factory and travel via Mbabane, the capital of Swaziland, to our hotel in the mountains at Mhlambanyatsi. This morning we have an early breakfast and then visit Swazi Candles in the Malkerns Valley where we watch the locals hand-moulding wax into a variety of interesting shapes. Rhino and CalfOn this site there is also a market where the locals sell their craft, as well as other shops where you can buy items like batik, hand-woven cloth, colourful handbags, etc. We then continue along the Ezulwini Valley towards Manzini, the country’s industrial centre, and then swing south towards Nhlangano on a scenic route where crossing every hill opens up a new vista. We exit Swaziland at the Onverwacht border post. We enter Zululand and travel southwards to Hluhluwe and arrive at our private lodge for check-in. Then we embark on another exiting open vehicle safari. We return for a well-deserved dinner and overnight. St LuciaAfter an early breakfast, we travel to Hluhluwe Imfolozi Reserve and enter the reserve for another two hours of great viewing in the Big Five Reserve where the white rhino was saved from extinction. From her we travel to the village of St Lucia and join a boat cruise on the estuary of the famous Lake St Lucia (proclaimed a World Heritage Site in 1999). The lake is a wildlife paradise with bird species such as fish eagle, Goliath heron and many more. Your skipper/guide will show you the world of the hippo and the crocodile and the other mystic inhabitants of the "deep". After this unforgettable experience we travel to Durban, South Africa’s holiday Mecca. Day 7: Durban – Natal Midlands – Drakensberg Mountains. Drakensberg AmphitheatreDrive inland to Pietermaritzburg, the capital of KwaZulu-Natal, for a brief city tour. Stop at the railway station where Mahatma Gandhi was thrown off the train because of the colour of his skin, and see the waiting room where, in the silence of the night, he formulated his philosophy of passive resistance. Visit the Church of the Vow that was built as a result of the Battle of Blood River between the Voortrekkers and the Zulus in 1838. 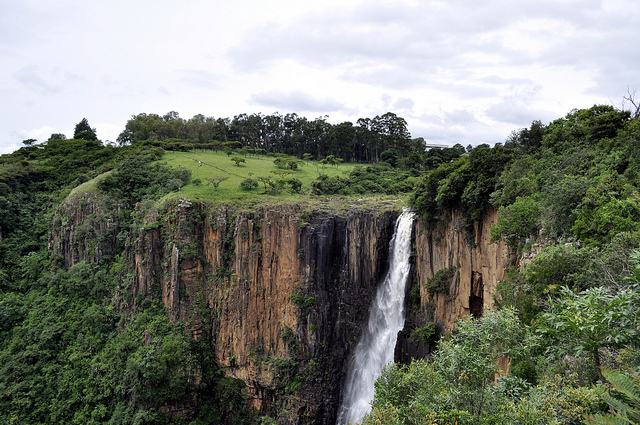 Continue to Howick where we visit the 100m high Falls, and stop at the monument erected on the spot where Nelson Mandela was arrested in 1962. Continue through an area of gentle pastoral beauty called the Natal Midlands. We pass through grassy plains scattered with villages and lush farmlands where plump cattle and thoroughbred horses graze. We stop at the place where the Boers arrested Winston Churchill during the Anglo-Boer War. Afterwards we enter the Spionkop Game Reserve for where we have a good chnace of seeing, amongst others, white rhino, giraffe and zebra.Then we travel to our hotel from where you can enjoy magnificent views while enjoying sundowners. After breakfast we travel through QwaQwa, a former homeland, and watch the locals busy with their daily chores in this remote land. 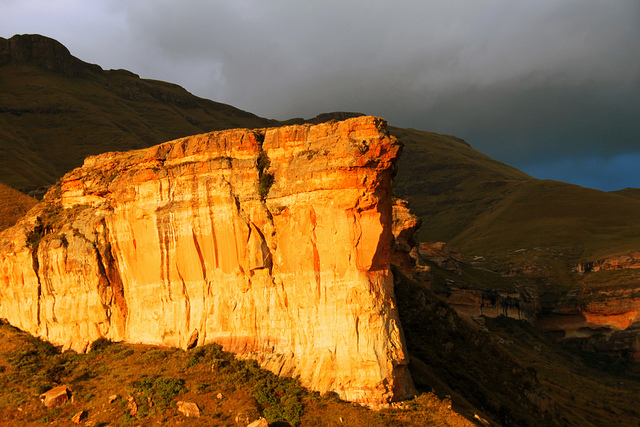 Visit Golden Gate National Park with amazing views of the black Basalt and golden sandstone cliffs which gave its name to the park. Visit a cultural village with demonstrations of their culture and return late afternoon to your hotel. We depart after breakfast and drive to the Giant's Castle area for an easy walk to some of the country's best preserved ancient rock paintings. We have a peek into the mystical existence of these strange little people who became extinct at the beginning of the previous century. This afternoon we have time to take some hikes into the mountains. The scenery and views are magnificent! Pass.jpgToday we travel along these magnificent mountains and enjoy the views. Visit some quaint art and craft shops in the upper Midlands Meander - many artistic people fled the hectic pace of the big cities and made their new homes in this very beautiful area. There is no limit to inspiration here if inspiration comes from natural beauty! Then we travel to Underberg, a picturesque little village situated in the foothills of the majestic Drakensberg Mountains. Our hotel is in the lap of the mountain with peaks towering over 3000m (10 000 ft) above sea level. Sani PassAfter breakfast we set off to Sani Pass, named after the primitive people who lived in the area millennia ago, on a four-wheel drive with hair raising bends and breathtaking views to the top of the mountain. Lunch is served at the top in the Mountain Kingdom of Lesotho some 3000m above sea level. We return early afternoon, change vehicles and drive back to Durban. Durban is an intriguing cultural blend of East, West and Africa, which with its endless summer climate, effervescent and lukewarm ocean lined with golden beaches, offers a subtropical carnival atmosphere all year round. Durban BeachfrontOur tour of this bustling metropolis boasting the busiest port in Africa and often called the cultural 'melting pot' of South Africa, includes a drive past the so-called Apartheid Beaches, the Golden Mile, the impressive developments at the new Point Waterfront area, and the city centre. We stop at the Indian Market where you can bargain for souvenirs and spices. Our last visit is to the Botanical Gardens. You have the option of being dropped off at the end of the tour at the Ushaka Marine world with its world-class aquarium, and many shops and restaurants. Return to your hotel with our bus or spend the rest of the afternoon here and take a taxi back to the hotel. A free day in Durban to enjoy last minute shopping or the warm sunny beaches. oribi JumpThe drive from Durban along the South Coast takes you through lush subtropical vegetation and numerous holiday villages dotted along the seaboard. We visit the scenic Oribi Gorge and some beautiful little beaches. We enter the Eastern Cape at the former homeland of Transkei and work our way to the Wild Coast – a rugged and deserted coast line with exceptional beauty – and arrive at our hotel for overnight. We explore the beach and some amazing scenic sites. Wild Coast SeaBefore breakfast we enjoy another breathtaking walk. Then breakfast and travel via Port St Johns to Mthatha, the capital of the former homeland. After a visit to the Nelson Mandela museum we travel further south and then to the beach. This morning's journey is to East London, the only river port in South Africa, and the place where a prehistoric coelacanth was caught in 1938 and then along the coast and we enjoy the lush vegetation and rugged coastline. AddoWe arrive at Grahamstown. The small cathedral city is considered the art capital of South Africa and is steeped in history. 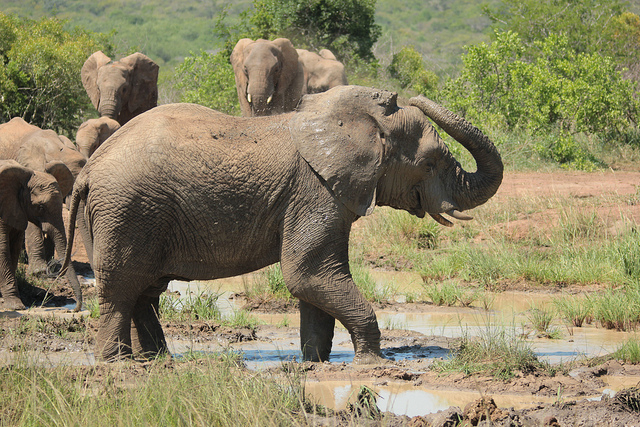 At the Addo National Elephant Park game reserve we have an excellent chance of an encounter with these giants of the bush amongst other animals. This afternoon we reach Port Elizabeth, the fifth biggest city in the country, set on the shores of the Algoa Bay and also called the “Friendly City”. We depart from Port Elizabeth, along the N2 national route to the Storms River with the impressive Paul Sauer Bridge across the Garden_Routevalley towering some 139 m above the river. Our next stop is at Tsitsikamma National Park (Khoisan for “The place of much water”) stretching more than 100 km of wild and rocky coastline characterised by massive cliffs, narrow isolated beaches and shady indigenous forests along the river valleys. 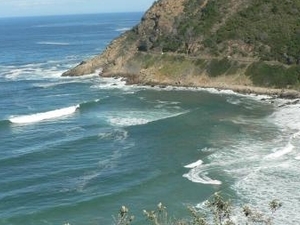 Now, truly in the famous Garden Route of the Cape, we traverse more magnificently scenic river valley passes to Knysna on the edge of the Knysna Lagoon with its entrance to the sea guarded by two promontories known as 'The Heads'. The area also falls within a National Park proclaimed to conserve the extraordinary natural beauty of the Lakeland and adjacent indigenous forests. 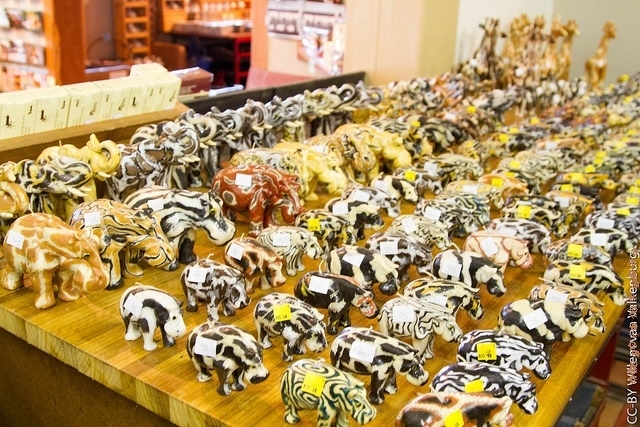 Knysna offers shopping opportunities of unusual, locally made, art and craft, etc. 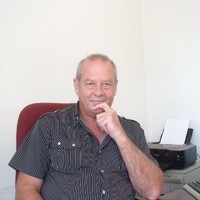 Cango.jpgWe explore the lake areas, the Wilderness National Park and travel via the scenic Montagu Pass to Oudsthoorn also known as the 'Feather Capital' of the world, as by far the largest concentration of ostrich farms in the world are found here. We visit the Cango Caves, regarded as one of South Africa's foremost natural wonders. The fascinating calcite caves comprise an underground wonderland of stalactites and stalagmites. After an early start we visit to an ostrich show farm for some unique experiences, including ostrich racing. A ride on the back of an ostrich is not for the fainthearted. Our route to Mossel Bay takes us over the Outeniqua Mountains via Robinson's Pass. Here we visit arguably the oldest post office in Africa, the Post Office Tree, and the site of the first landfall, made by the Portuguese explorer Bartholomew Dias in 1488. After an early lunch we travel via Swellendam to Cape Town where we arrive late afternoon. • Costs of a personal nature. Eu ainda não tenho referências! Você conhece esse membro? Se você tiver viajado ou usado seus serviços, recomendamos que você dê uma referência sua positiva ou negativa. Isso irá ajudar a todos em Touristlink a fazer melhores escolhas e irá ajudar os provedores de fazer melhorias com base no seus comentários.